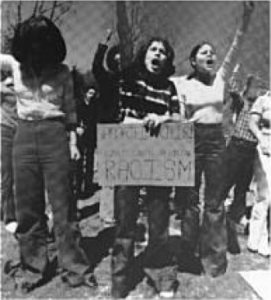 The Princeton Alumni Weekly identifies the woman on the right as Marta Rita Velázquez (class of 1979) at an anti-apartheid demonstration in 1977. (19) In or about early April 1985, while clandestinely in Cuba, defendant VELÁZQUEZ, with Montes, asked the Cuban Intelligence Service to give them “practice” polygraphs so that they would be able to pass polygraphs they might have to take in connection with future United States government employment. For discussion of the Montes case, see Source: Cuban Spy Ana Belen Montes Passed DIA Polygraph on the AntiPolygraph.org message board.